So you've taken a Costa Rica Outward Bound course or something similar. Now what? A lot of students wonder how they can market themselves for future jobs and/or colleges after going through an experience that distinguishes them, both personally and professionally. The difficult part is communicating the impact of a course experience and effectively transferring it to a resume or personal statement. When looking for a standout factor, employers and acceptance committees alike want to see how applicants can add value to their organizations -- so let's look at five ways you can boost your resume and market your unique Outward Bound experience. 1. Teamwork - In terms of overused buzzwords, "teamwork" sits pretty high on the list; however, an Outward Bound course takes the otherwise subjective concept and makes it significantly less biased. Sure, working with a team to complete a project or meet a deadline is valuable, but being able to say that you literally spent 24-hours a day with a group of unknown peers to belay each other down a cascading waterfall or stay motivated to hike across an entire country awards you a lot more points in the teamwork category. Considering that many companies are shifting towards more collaborative work environments, they'll love the assurance that you can truly perform as a team player and furthermore, that you can prove it. 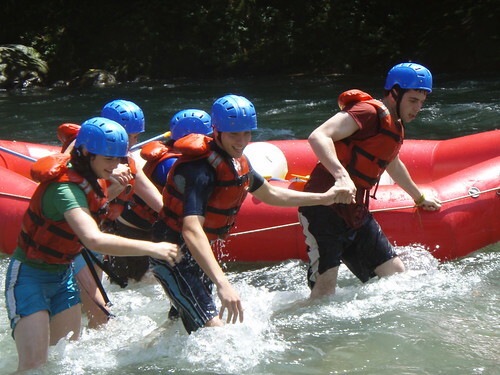 2. International Experience - Costa Rica Outward Bound students are immersed in a foreign culture and spend time learning a foreign language every single day. As organizations stretch their operations across borders more than ever, being able to cite specific examples of cultivating genuine cultural awareness can increase your chances of getting hired or accepted into a higher education program. 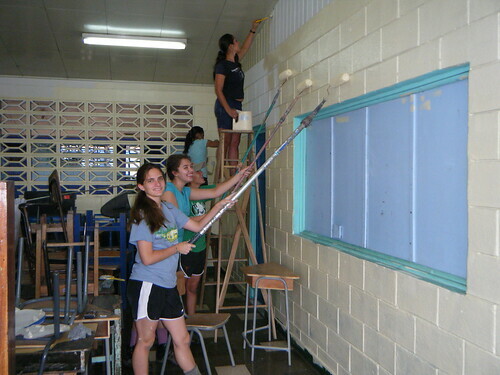 All of our alumni can highlight personal interactions with Costa Rican families, what it's like to cross international borders, and how they learned enough Spanish to successfully navigate a local market -- they might not be fluent, but they can problem solve and figure out how to communicate, a beneficial skill not every candidate can claim. 3. Certifications - Many of our courses offer multiple certifications that are internationally recognized. Depending on what type of work you're looking for, being able to list these can potentially be the difference between "We'd like to offer you the job!" and "Unfortunately we're looking for someone with more experience." The Leadership Semester program is designed specifically to avoid the latter response (especially for jobs in the outdoor industry), allowing students to earn up to 7 certifications. 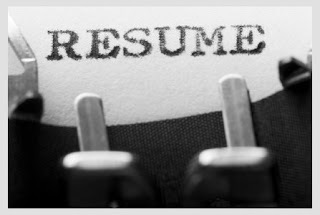 The main point is that you should take advantage of the opportunity to beef up the "Additional Experience" section of your resume with items like CPR/AED for the Professional Rescuer or First Aid (America Red Cross). It shows that you're competent in other fields and have unique interests. *By the way, any time an acronym is used, be sure to spell out what it means in order to avoid any confusion. 4. Community Service - A lot of universities are taking a more holistic approach to their admissions criteria these days. While grades and standardized test scores still reign supreme as determining factors, well-rounded students with diverse experiences but less-than-perfect GPAs are beginning to find themselves on university campuses more consistently. All of our courses have a strong service project component that takes students into remote villages to paint local schools, build medical clinics, and install safe drinking water tanks. Be sure to mention what the specific project was, but more importantly, what you gained from it and how it applies to other areas. 5. Leadership - Alright, this one can be tricky. How can you make it clear that your "strong leadership skills" don't get the same amount of attention as everyone else who has written a resume in the last 300 years, which is to say, very little. Being able to say that you've developed and refined your own personal leadership style during an Outward Bound course carries a lot more weight. Are you a participating leader? Maybe your approach is more democratic or perhaps you prefer to delegate? If you're a Costa Rica Outward Bound alum, think about the leadership wheel -- which direction did you identify with? While these suggestions will hopefully build a solid foundation for starting your resume or personal statement, the most powerful way to separate yourself from other applicants is to be honest about what your Outward Bound experience meant to you. If you have a course memory that changed who you are or the way you think, don't hesitate to focus on it (requesting a letter of recommendation from instructors can also have a positive impact on your chances of landing a job). So good luck out there, students! Boost those resumes! For the past two weeks some of the staff at Costa Rica Outward Bound had been planning to head out on a nice, relaxing ride starting in the town of El Empalme, traveling down to the coastal town of Damas (right near our beach base at Manuel Antonio). After several delays due to rain and washed out roads, the ride was finally able to occur as the dry season started to approach. Following along an approximately 90 km route, the adventure starts in the cold mountainous terrain and drops down into the warmer coastal mountains, then to the hot coastal hills, finishing up on the tropical coastal plains. In all the ride proved an adventurous endeavor; many flat tires, several mechanical issues and even a broken drive-train meant some occasional delays. Unfortunately some riders had to literally be pulled to the finish line, however it was all part of the adventure. Needless to say, we are all ready for the next epic ride! a Damas from painfullyvanilla on Vimeo. Looks like it was a busy season for wilderness rescues in the Tetons. If any additional WFRs are needed, we can supply a great group out of this semester’s leadership group. Story here. Sometimes students can struggle with life in a remote region. Imagine spending 520 consecutive days in a sunless environment designed to find out if mankind is psychologically capable of traveling to Mars. No thank you. Story here. National Geographic’s extreme photo of the week is always a crowd pleaser. This week’s, as well as the ability to see past week’s photos, are a true treat. Story here. It is unclear how or why these birds are doing what they are doing here, however it is simply amazing. Take a gander. Practice makes perfect, and that is exactly what our fall 2011 leadership students did this past weekend. The leadership class took part in a simulated emergency scenario, where every student had to put their Wilderness First Responder skills to use. The Wilderness First Responder, or WFR, is a serious certification required of nearly every outdoor professional, including our own staff here at Costa Rica Outward Bound. Walking up the hill as darkness fell on the base campus, the group was confronted with a remote accident scenario involving two cars, four hysterical and injured passengers, numerous distracting bystanders as well as a severely injured and inebriated cyclist. All this was set to test the medical ability and personal nerves of our WFR students. The students were required to immediately set to work, managing a hectic situation that tested everyone’s knowledge of medical scenarios as well as their ability to act under pressure. After assessing the situation, students went to work treating major injuries, deciding which people were the priorities for evacuation, as well as managing a slew of distractions designed to prevent them from accomplishing their tasks. In our de-brief, many students commented on how even though a simulated emergency, the scope of the accident, the stress of managing so many different injuries and the numerous distractions made it difficult for some to focus. Furthermore, having to evacuate several victims proved to be a difficult task, as multiple trips up and down the hill is enough to make the most athletic person require their own medical attention. In all, the scenario was a great opportunity to practice skills as well as experience a sample of the stress one can feel in the field!